If you’ve ever bought something in the Xbox Marketplace you have probably cursed Xbox Points at one time. Microsoft’s virtual currency has never had much support from users, and it’s no mystery why. Instead of just paying the exact amount of something you have to figure out how many points you need, and hope you don’t have any left over. Thankfully Xbox Points may be a thing of the past. The Verge is reporting that Microsoft will be killing off Xbox Points in favor of cash and gift cards. Microsoft already ditched Points in Windows 8, and now the whole platform will be on the same page. The Windows gift cards will be used for everything from Windows Phone apps to Xbox games. 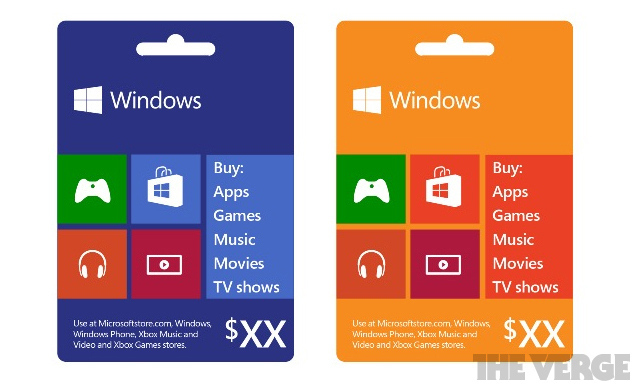 Just like Apple’s iTunes cards and Google’s Play cards they will be accepted on any Microsoft platform. Apps, games, music, movies, and TV shows will all be purchasable with the Windows gift card. This is very welcomed news, and we are very excited to see Xbox Points go away. OMG hell yeah! I hate the points system! I’m with you. I’m an RT user and now buying apps will be a cinch.